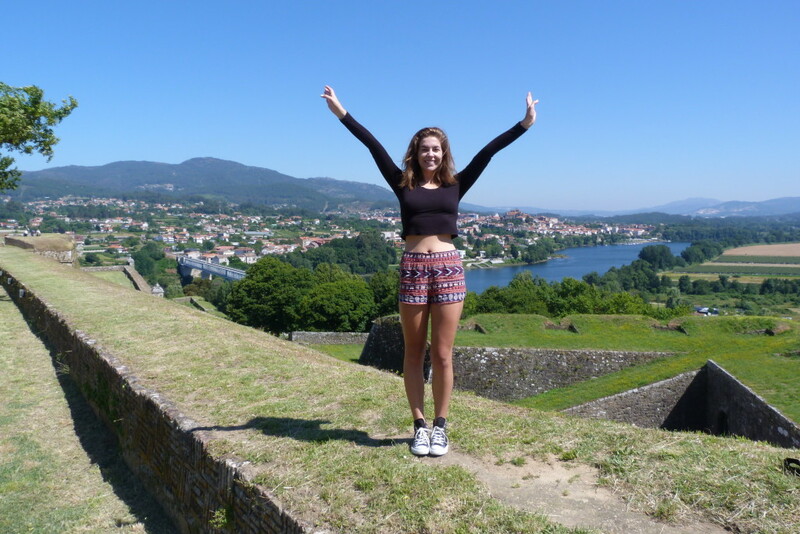 Spend the summer studying abroad in the beautiful beach city of La Coruña, Spain! If your goal is to greatly improve your Spanish in a short period of time, our Spanish immersion in Spain program is the right fit for you. 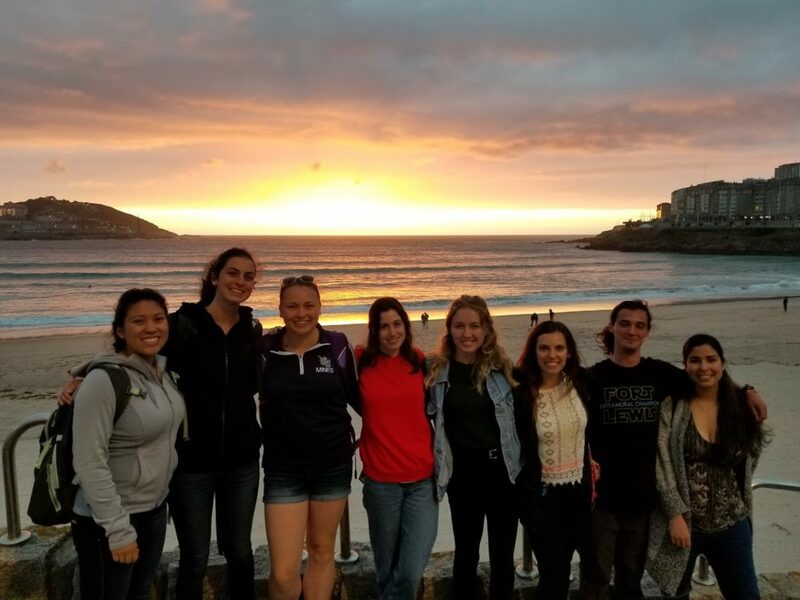 Our Summer study abroad Spain program offers a unique opportunity to live in the beautiful beach town of A Coruña. 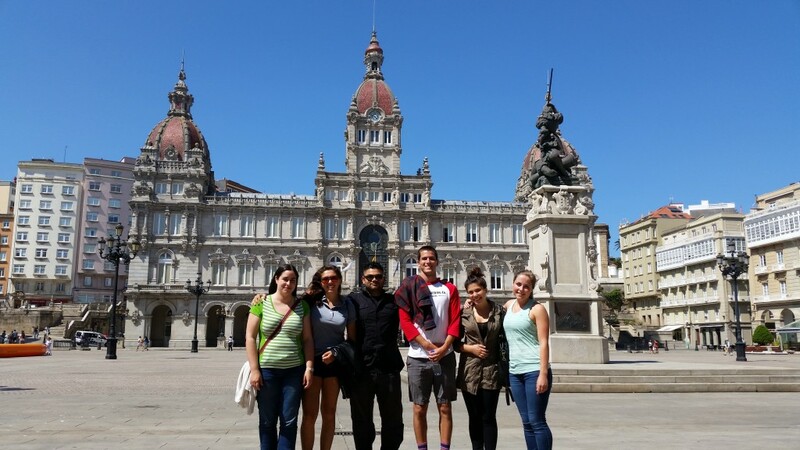 You will be fully immersed in the Spanish language and culture living and interacting with Spanish speakers daily. 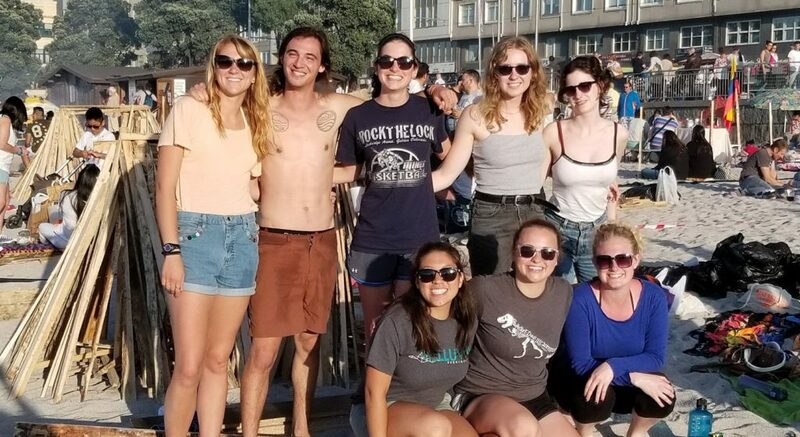 You have the option to study Spanish for academic credit, complete an internship at a Spanish organization in your field of study, or do both during a 5 or 10 week stay! We recommend this program for students who want to improve their Spanish quickly while experiencing authentic Spain. This program is open to beginners through advanced Spanish speakers. Celebrating San Juan on the beach! 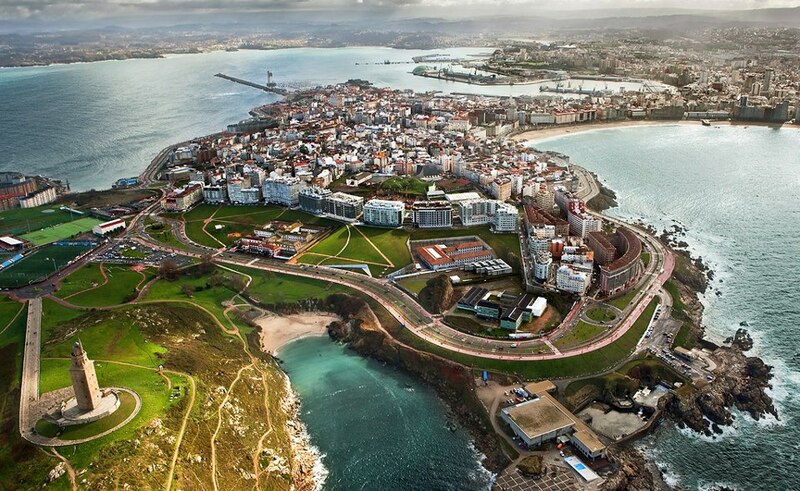 Why La Coruña? La Coruña is a breathtaking coastal city in the lush region of Galicia offering beautiful beaches, delicious tapas bars, fresh seafood, and lively nightlife! It’s also one of the best cities in Spain to learn Spanish as it allows for complete immersion in the Spanish language. Beyond our group, it’s very unlikely that you’ll run into other English speakers. In more popular Spanish destinations, there are many English speakers which can make learning Spanish more difficult. Of course, you may still easily visit Barcelona, Madrid and other popular destinations around Europe on a budget during your free weekends by flight, bus or train. 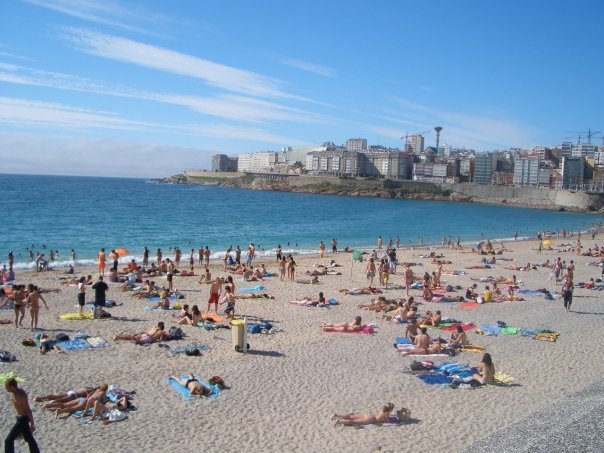 If you’re looking for the best place to improve your Spanish while enjoying Spanish life on a student budget, La Coruña is the city to choose! (Optional) Extended Stay: You may prolong your stay by arriving early or staying longer for an additional fee. You must have a valid passport for at least 3 months beyond the planned period of stay to travel to Spain. You also must have a return airline ticket. United States Citizens do not require a visa for stays of less than 90 days. For more important details visit: Spain and Andorra Country Specific Information. It is the responsibility of participants to obtain the correct travel documents. Must complete the application process below. Airfare: Participants are responsible for making their own flight arrangements. Student fares are available here. We recommend you plan to arrive 2 days before the program start date to allow time to settle in and adjust to the time change. Note: In the unlikely event the program is cancelled, Linguistic Horizons does not accept responsibility for any airfare cancellation fees incurred. *For citizens of other countries, you should check with your local Spanish Consulate if you are required to obtain a visa. The application process, as described here, must be completed by the application deadline. 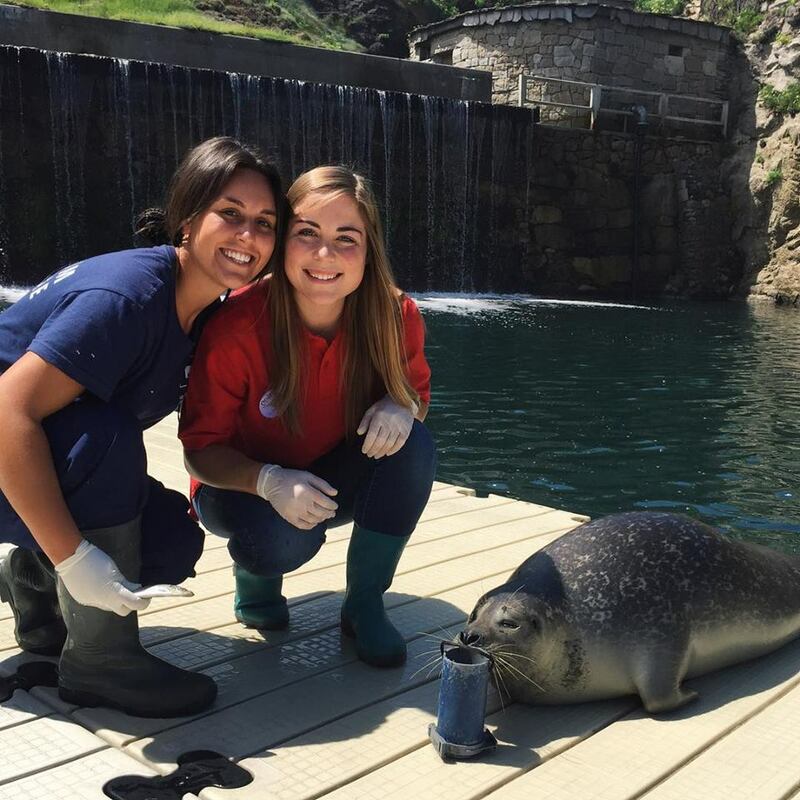 Within 1 week of acceptance into the program, you will be asked to sign our terms and conditions outlining our agreement with you. If you need extra time to decide, please let us know. To guarantee your place in the program, you must submit a $500 deposit. This deposit is refundable only as described in our terms and conditions. The due date will be specified in your applicant portal. Note: This deposit is not an extra fee, it will be deducted from your total Program Fee. This deposit is not refundable except under extreme circumstances. After the deposit has been received, a new section titled “Participant Supporting Documents” will appear to be completed. We will also ask that you choose a program fee plan. Several options are outlined below. Keep in mind that the total program fee is due in full by April 1, 2019 unless alternative payment plan arrangements have been requested and approved. Please click here for methods of payment. We are happy to work with you to design a payment plan that works for you. Here are some pre-designed options. Option 1: Pay the Program Fee in full upon acceptance into the program. Option 2: Choose to make equal monthly, biweekly or weekly Program Fee Payments. With the final payment due April 1. Option 4: Email us info@linguistichorizons.com and propose a customized alternative payment plan that works for your budget. Linguistic Horizons will determine your language level in three phases. First, we will consider any coursework you’ve completed to date. Next, we will consider your DIALANG test results. The DIALANG test will indicate your level according to the Common European Framework of Reference for Languages (CEFR). Finally, we will schedule a Skype interview to assess your conversation skills.